Academic Team is a group of students who represent our school by competing against other schools in our district in a battle of the minds! Students compete in timed games against other schools to show how much they know. Questions are asked in Social Studies, Science, Math. Language Arts, Health, Arts, Music and Current events. There are five members on the team with three or four alternates who also attend the games. The Debate Team debates current issues and government policy. 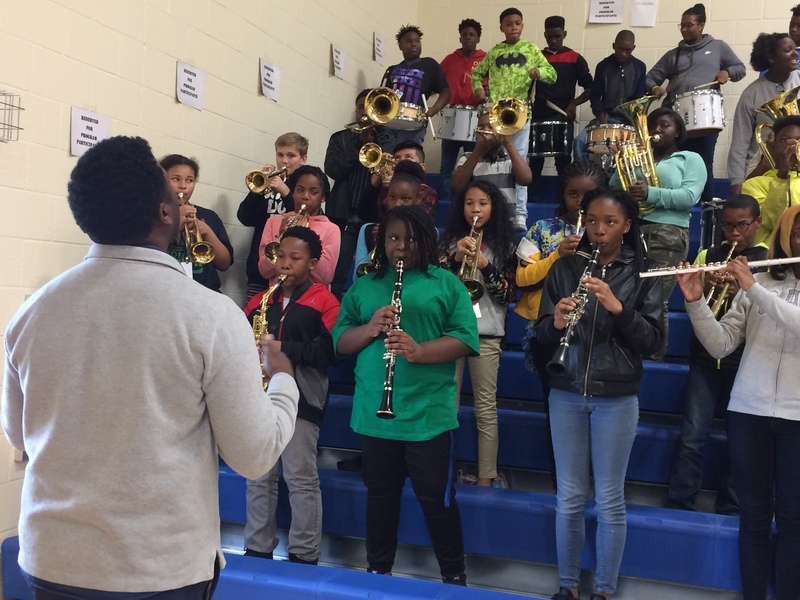 We compete in local middle school tournaments as well as regional tournaments in Atlanta. 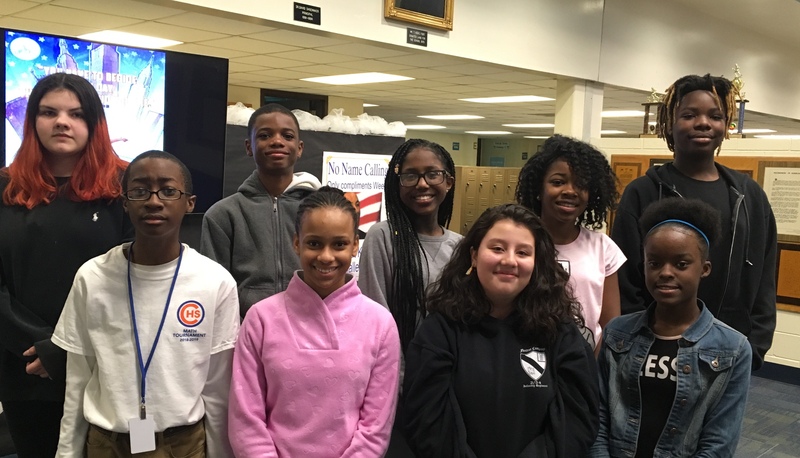 Fort Service Learning Magnet Academy has been participating in the Columbus Urban Debate League (CUDL) since its inception in 2011. Urban debate adds a new level of excitement to education and is already proving to have a very positive effect on our students involved. Policy debate not only is an extra-curricular activity but a fundamental educational too that develops skills in reading, critical thinking, research, public speaking, advocacy and conflict resolution. 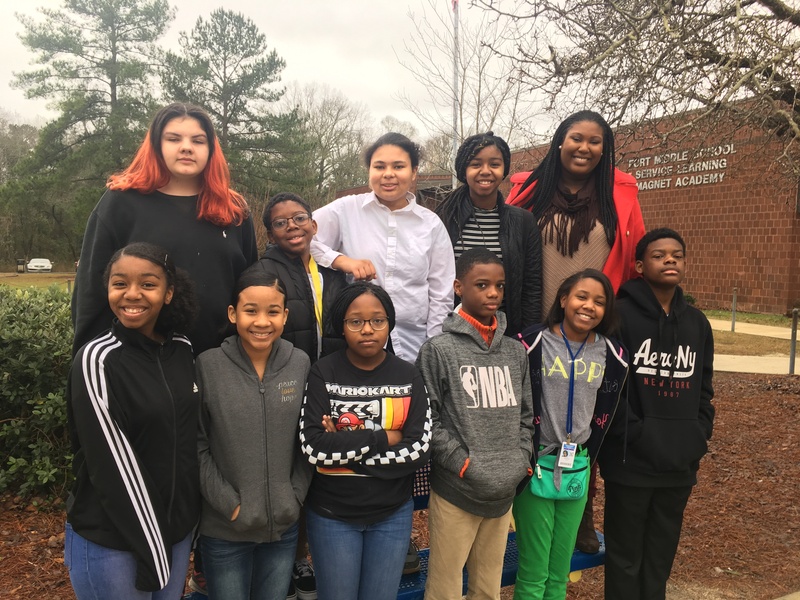 Students participate in local Muscogee County debates as well as travel to Atlanta to participate in the Atlanta Urban Debate League (AUDL) tournaments. 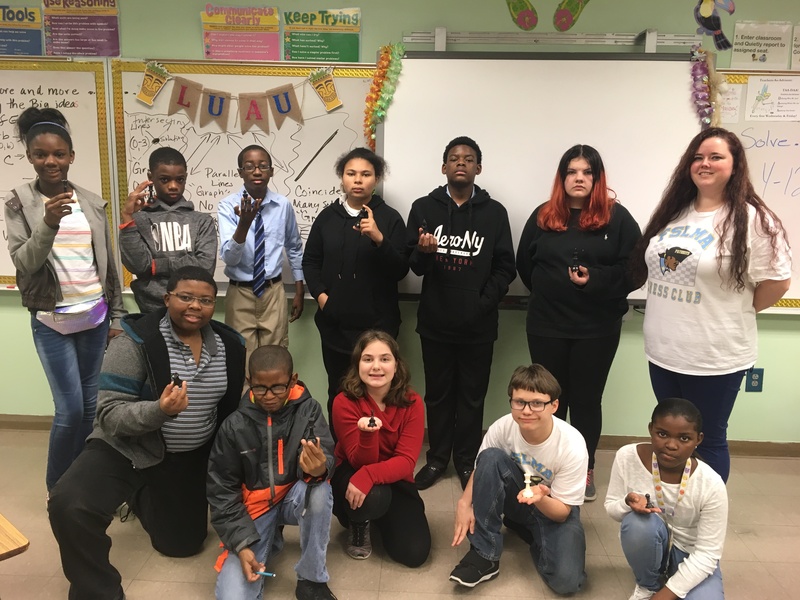 FSLMA’s Debate Team showed up and showed out at the Columbus Urban Debate League tournament in November of 2017. FORT competed against SIX other schools. FORT , along with two other schools, were the only ones that placed for the top 7 teams. The FSLMA Ballet dancers are a unique, creative, and talented group of dancers. 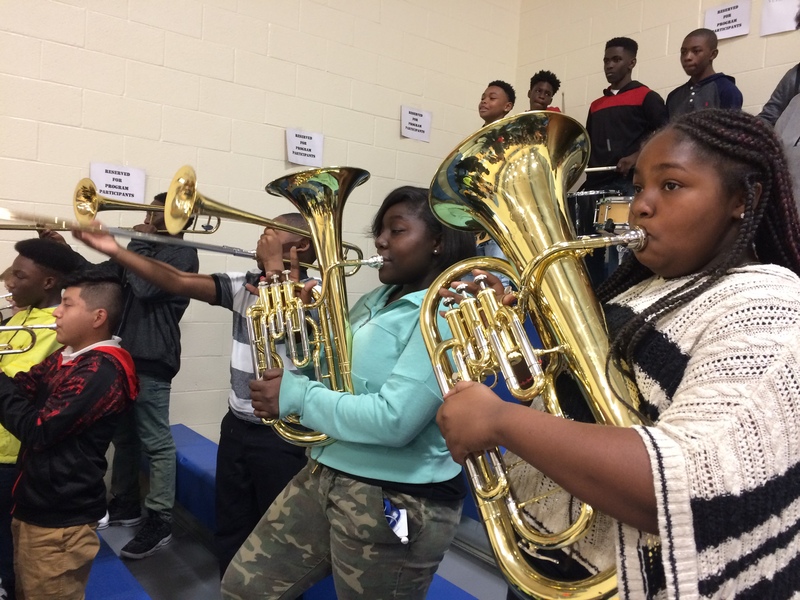 We perform at special events during the school year to showcase our students. We strive to step out of the box and combine traditional ballet technique, modern ballet and lyrical dancing. We love to see the ballerinas dancing in the spotlight! Date and time of ballet tryouts for the 2017-18 school year will be disseminated on the morning announcements–TBA. When young people have problems, they are far more likely to discuss them with their friends rather than their parents, teachers, ministers or other caregivers. Social media enables young people to share life-changing events with strangers without ever talking to someone within their own homes. To equip young people to act as a resource to help other youth with the issues they face, the concept of “peer helping” was developed. Peer Helpers are students who are trained to recognize when their peers may have a problem, listen to fellow students confidentially and assist them with emotional, societal, or academic struggles. 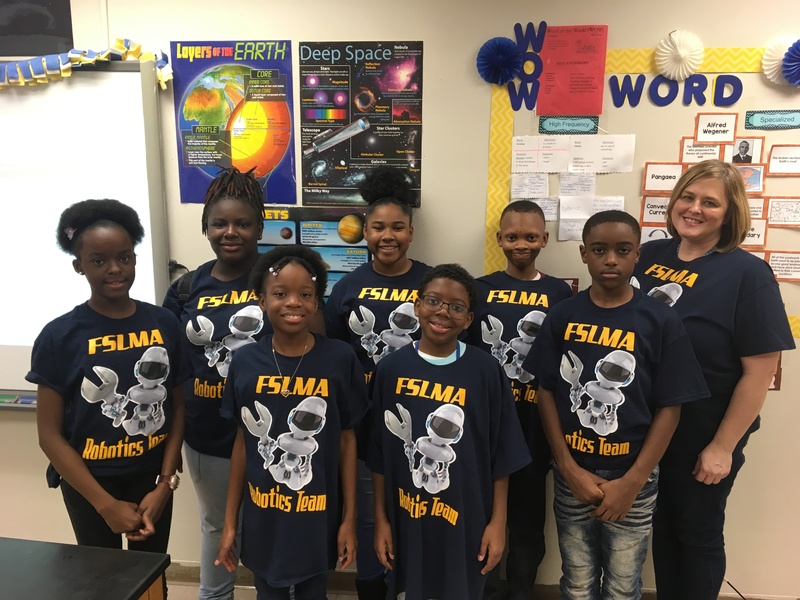 At FSLMA, the school counselor is trained to serve as a Peer Program Coordinator, the counselor Peer Program Coordinator in turn selects students to serve as Peer Helpers and trains them on the peer helping system. They learn a set of skills – attending, empathizing, summarizing, questioning, genuineness, assertiveness, confrontation, problem-solving, conflict resolution and confidentiality – that assist them in meeting the needs of their fellow students. As a part of their training, Peer Helpers agree to keep the issues other students share with them in strict confidence. However, if a student threatens to harm him or herself, exhibits psychotic behavior or reports abuse, the Peer Helper must involve their coordinator, a counselor or administrator immediately. Peer Helpers not only assist classmates by listening empathetically, providing options for making healthy choices, becoming advocates, and helping them get involved in campus life. In the process of helping others improve their self-esteem, Peer Helpers can themselves become leaders and role models. The Junior Marshal Program, a nonprofit organization, was founded in 2005 in Columbus (Muscogee County) Georgia by Muscogee County Marshal Greg Countryman. Marshal Countryman saw the need for a pro-active public safety body to address the prevention of delinquent behavior in the community while at the same time attempting to dispel the perception of public safety as an adversary. 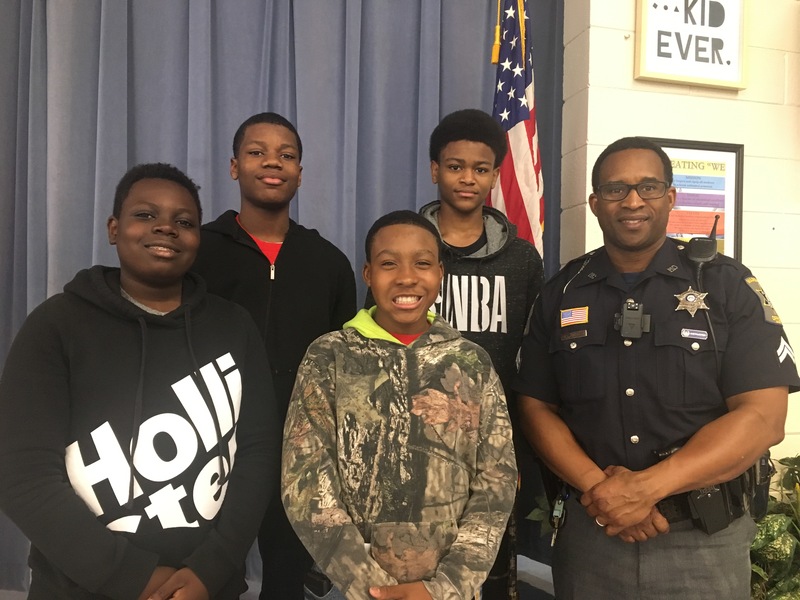 After conferring with various civic, educational, and other entities within the community, Marshal Countryman founded the Junior Marshal Program and partnered with the Muscogee County School District. With an initial financial commitment consisting solely of local corporate funding, the Junior Marshal Program was founded as nonprofit corporation. The Junior Marshal Program envisions a community where positive pro-active efforts from a combined community will result in the prevention of delinquent behavior, thereby enabling our youth to realize their full potential, render them capable of making informed decisions about their future, and preparing them to assume their rightful place as productive, participating citizens. I am a Junior Marshal, dedicated to being a good citizen, a leader, and a role model in my community. I will strive for excellence and will assist others to attain the same. I will always do my best to be the best that I can be. I will follow instructions to the best of my ability, and when called upon to do the extraordinary, I will respond in a positive manner. I will conduct myself in an honorable manner and will respect others, as I would have them respect me. I believe in the ideals that make America great, and I will support and defend the rights of all people regardless of race, gender, or religion. A Task List has been established for each area of the training acronym that defines the requirements to be met on a go/no-go basis. Participants in the Junior Marshal Program will be evaluated at each organizational activity. This evaluation will be the responsibility of the Junior Marshal Program Manager and Program Coordinator and will be considered in determining if the mentoring goals have been met. To learn more about FSLMA’s Passport to Manhood program, please contact the school at 706-569-3740. The Science Olympiad is an international nonprofit organization devoted to improving the quality of science education, increasing student interest in science and providing recognition for outstanding achievement in science education by both students and teachers. These goals are accomplished through classroom activities, research, the encouragement of intramural, district, regional, state and national tournaments. The Science Olympiad tournaments are rigorous academic interscholastic competitions that consist of a series of individual and team events, which students prepare for during the year. The Competitions follow the format of popular board games, TV shows and athletic games. These challenging and motivational events are well balanced between the various science disciplines of biology, earth science, chemistry, physics, computers, and technology. There is also a balance between events requiring knowledge of science facts, concepts, processes, skills and science applications. In addition, during the day there are open house activities that consist of science and mathematics demonstrations, activities and career counseling sessions conducted by professors and scientists at the host institution occurring concurrently with the events. “As in any other sport, we practice and then we play.” Mathematics is not a spectator sport! Math Counts is a sport for the mind. Students work in teams as well as individually. There are competitions within the school and with other schools. There are no prerequisites to join, just an interest in problem/puzzle solving. Anyone can join. Meeting dates and locations will be made known during the morning announcements. The Yearbook staff at Fort is an extracurricular/after school activity comprised of students with at least a B average and no office referrals for behavior. In addition, the students must have the ability to stay after school and attend school functions such as sporting events. *Listen to the morning announcements for the first 2017-18 yearbook staff meeting. Meetings times and dates for the 2017-18 school year will be announced soon! 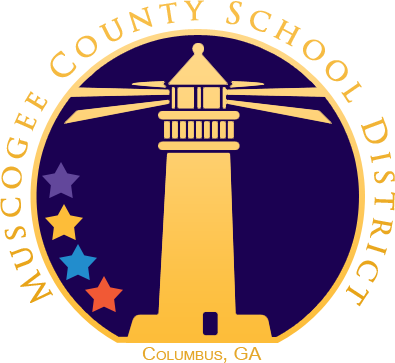 The National Junior Honor Society was founded for the purpose of giving special recognition to those students who have excelled in the areas of scholarship, leadership, service, character and citizenship. 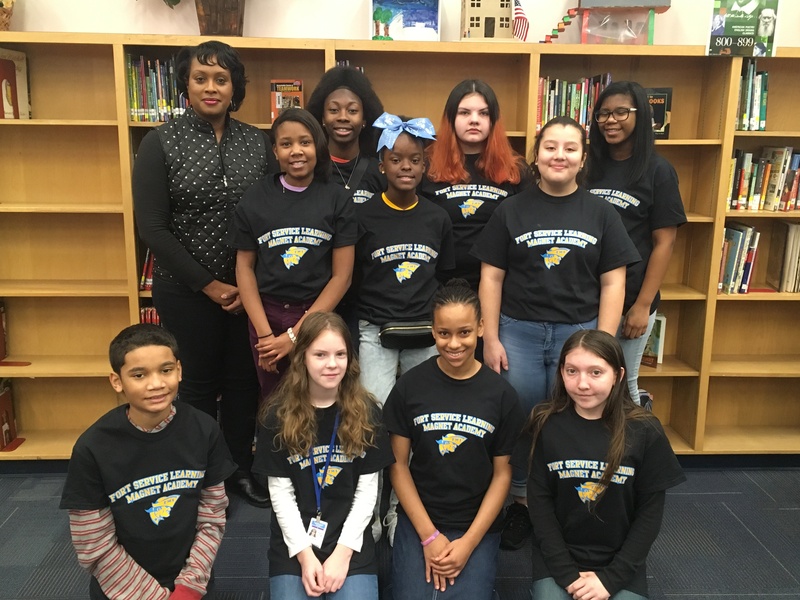 Members of the Dolores Washington Camp Chapter at Fort Middle School know and understand their responsibility of being a part of such a unique organization. As the chapter celebrates twenty five years of dedicated service to Fort and the Columbus community, members invite other students to step up and meet the challenge in becoming students of excellence.